The Buccaneers’ men’s baseball team traveled to Spartanburg, North Carolina, to participate in the Upstate Classic last weekend. They played Pittsburgh and USC Upstate and were victorious over both teams. The Bucs had such phenomenal hitting and pitching at Upstate that both teams were no match for the Blue and Gold. 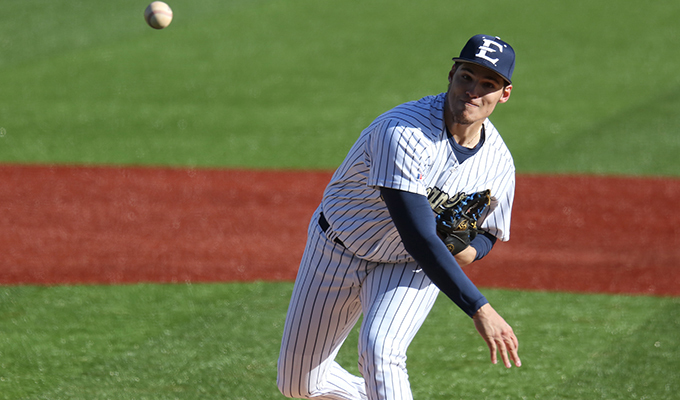 ETSU had 41 at bats against Pittsburgh, with Pittsburgh right behind them with 37. The Bucs got on a roll in the sixth inning, bringing in five runs to increase the score to 9-1 at the start of the seventh. The Bucs would get an additional run in the eighth inning. Pittsburgh scored three more runs to bring the final to 10-4. The Bucs’ next opponent was USC Upstate. Griffin Krieg overwhelmed Upstate with his superb pitching. Out of his 97 pitches, over 55 were strikes. That’s 57 percent of all of his pitches being strikes. Krieg brought the Bucs closer to a victory throughout the game, making Upstate scoreless in the first six innings. ETSU was victorious in the Upstate Classic last weekend in Spartanburg, North Carolina. This would contribute to the moral for the Bucs in a positive way, allowing them to get some great hits and bring home seven runs in the first six innings. In the seventh inning, both teams scored two runs, but Upstate couldn’t respond. Overall the Bucs are looking fantastic this season with a 4-1 record and are competing with great heart. The Bucs are 3-0 with winning games over five-plus runs. Hitting has been a great force for the Bucs early this season. Buccaneer Trey York has a batting average of .526 with 29 at bats, 10 hits and eight runs batted in. His on base percentage is .550 and his fielding percentage is .917. York has filled a key role with his slugging percentage is at 1.211. The whole team has a fielding percentage of roughly .966. With this statistic, the Bucs should be able to stop most any hit that is coming toward them. ETSU has an upcoming game against Butler at home on Feb. 27 at 3:05 p.m. Butler is on a seven game losing streak.